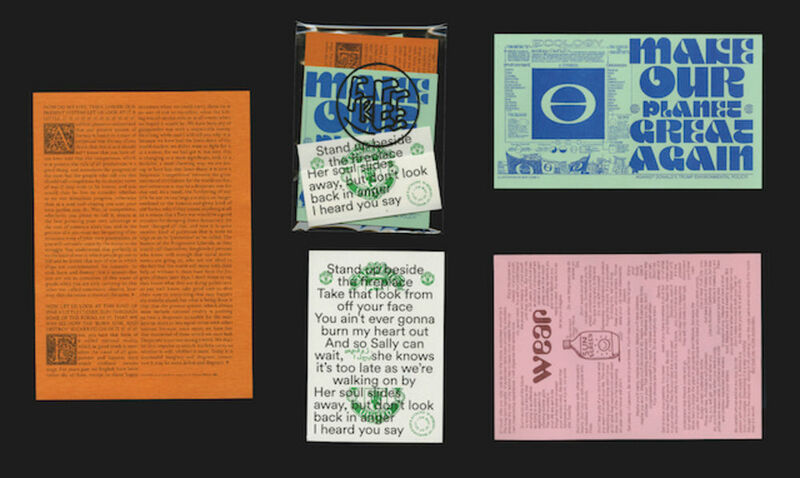 Scattered throughout the streets, subways and public transportation systems of Lyon and Ghent over the past year, We Sow's packets of printed ephemera are as striking to look at as they are to read. 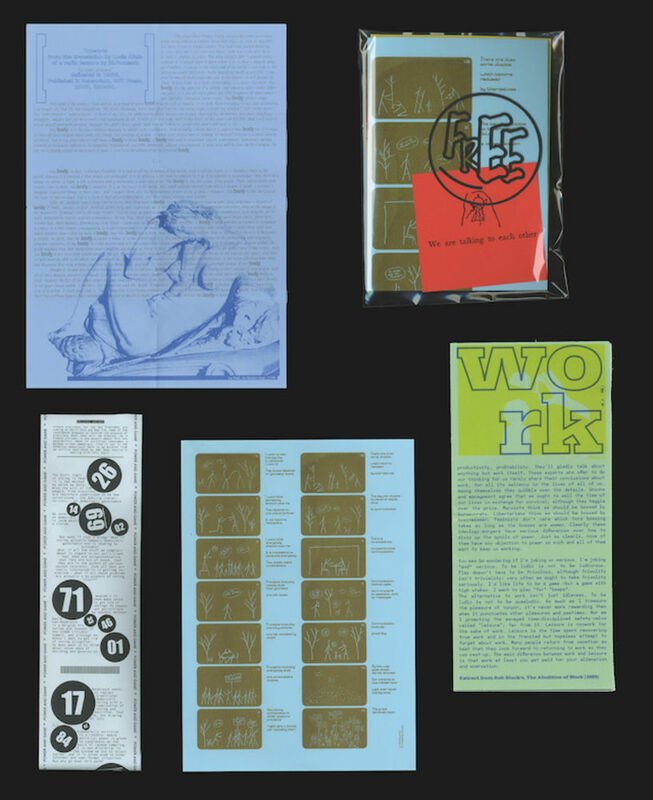 The 'seed packet' publications, of which there have been eight so far, present a range of riso-printed mini-pamphlets and flyers displaying excerpts of texts that have otherwise been overlooked by conventional media—from simple slogans to extracts from political treatises, many containing a potent or emotive message. 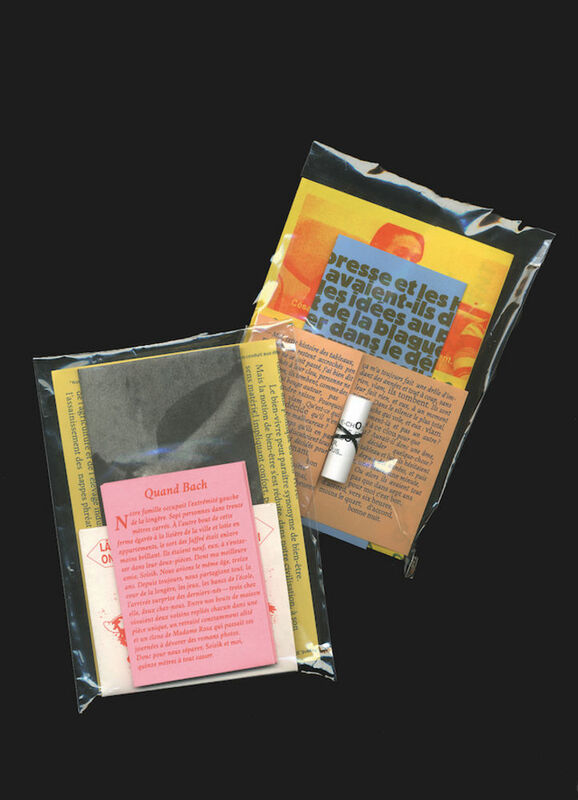 Their contents provide food for thought for those that stumble upon them, with each excerpts' length determined by its suitability for reading in transit. How did the three of you meet, and how did the idea for We Sow come about? Léa, Paul & Marion: We entered the National Higher School of Fine Arts in Lyon (France) together in 2014, and graduated from the Bachelor’s course in Graphic Design in September 2016. During these two years, we quickly became friends and started to work together. In March 2016, France faced a very large social movement: fed up with their government, people gathered every day in public squares and discussed many different topics with a view to changing the situation, including democracy, healthcare, labour, education and the arts; topics which define our society. At these events—called Nuit Debout—the organisation and distribution of these discussions was a huge problem. We were kind of introduced to this movement by Morgane Masse, a Masters student from our school. She worked on banners, placards, signs and handouts to wave during the demonstrations (you can read more about this here). 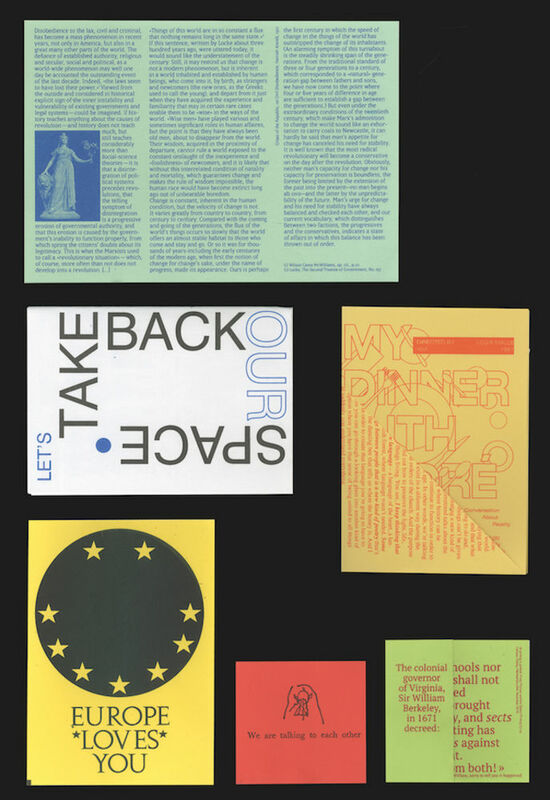 Our participation in these public meetings and demonstrations forced us to reconsider the role of a graphic designer in such an environment, as well as driving an impetus within us all to explore new means of diffusing ideas. 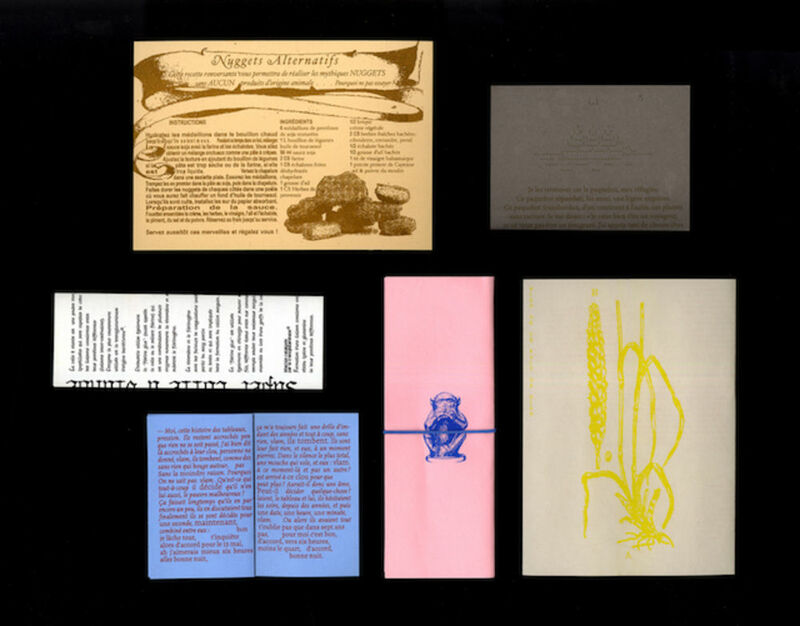 It was on this breeding ground that the idea of 'printed-matter seeds' was born. What do you intend for the project to achieve? Léa: Yes, and I especially think that's the case in the (French) Metro newspaper, which is such a sad paper-mess of advertising and banalities. Are there particular social or political issues that your ‘seeds’ publications respond to? Paul: The first ‘seeds’ bag was a reaction to this social movement in France—for me, before going to Nuit Debout, I was not really interested to these socio-political issues. Or, to put it another way, I didn't know how I could do something to contribute towards it as a graphic designer. Marion: Personally, for a long time I have felt angry about our government and, globally, the society we live in. At the point when we started We Sow, I understood that I couldn't wait any longer to find my place within this socio-political movement. We had to take our place, through the words we wanted to say, and the voice we have as designers. How do you go about selecting the texts to reproduce for each edition? The topics in each issue are ones that we feel really close to personally. They nourish our creative process and spur us on to question subjects that disturb us as citizens and human beings. For example, in the first issue we included the testimony of a worker in a Peugeot factory that Marion found while watching Chris Marker's project Les groupes Medvedkine. This worker explains, in a very poetic way, his exploitation and hard labour. 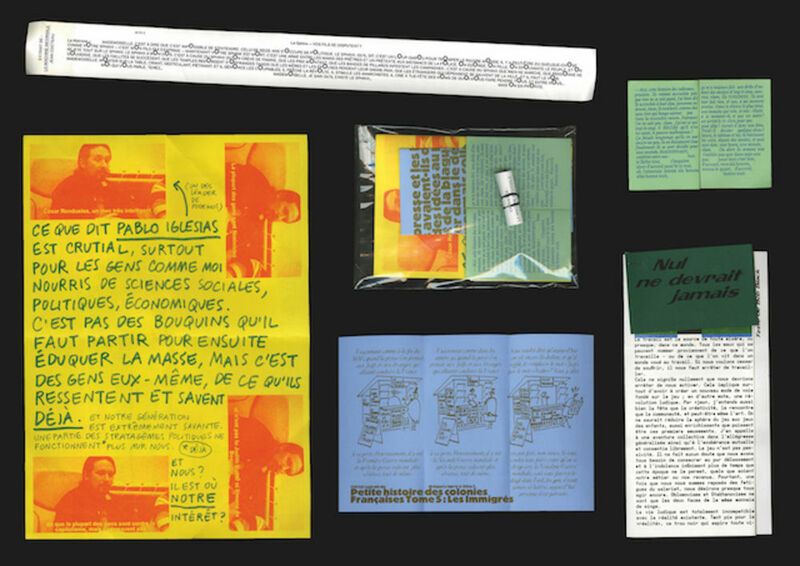 Another excerpt is from Le Chemin de l'Espérance by Stéphane Essel and Edgar Morin, two French philosophers, and we also included a mix of quotes by Marshall MacLuhan and Ettore Sottsass, an Italian designer from the 70s' but whose writing still sounds so current to Léa. How do you approach the design and production of each element of the publication? 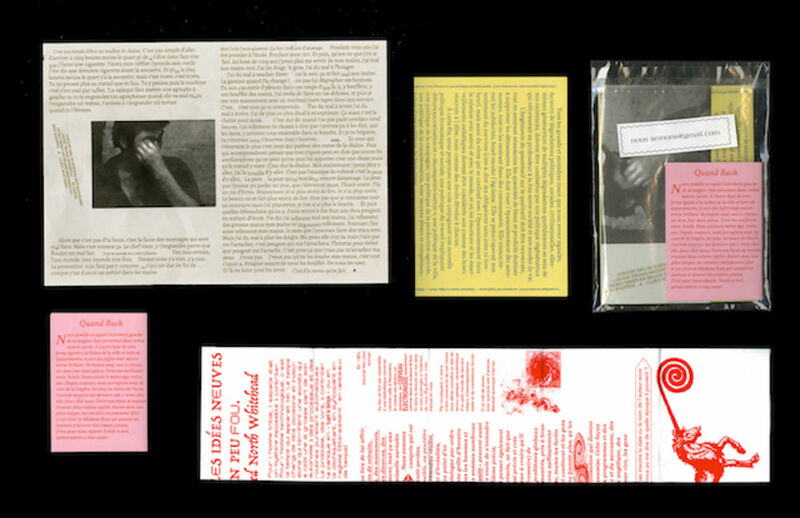 Léa, Paul & Marion: We instinctively design the texts; each one of us designs one or two per issue. The most important thing for us is to be efficient, playful & attractive within our A3 format, so the risograph medium suits us very well. We all select the combination of the coloured papers, ink colours and also the different formats and folding methods of our printed matter. Everything is handmade! It's kind of a jungle in a surprise package, it's very exhilarating. In the end, each of the 'seed' bags are a process of discovery, even for us. There is also something very immediate and personal in there. To decree a subject would be contrary to the goal of this project. We don't want to force ideas upon the reader, we just want to propose them. There is also a sense of intimacy to it, between ourselves and our readers—like a friend recommending a book to you because it touched and deeply affected them. How and where is We Sow distributed? Léa, Paul & Marion: Our means of diffusion is airborne. 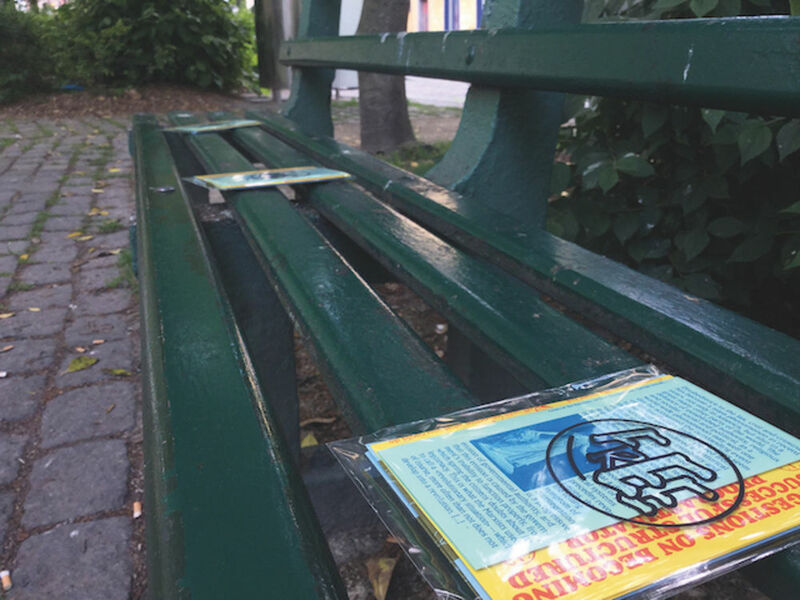 In the same way that seeds or humans travel the world and grow, we sow our paper seeds in the public space: on the subway, in train stations, at bus stops and public squares, etc. 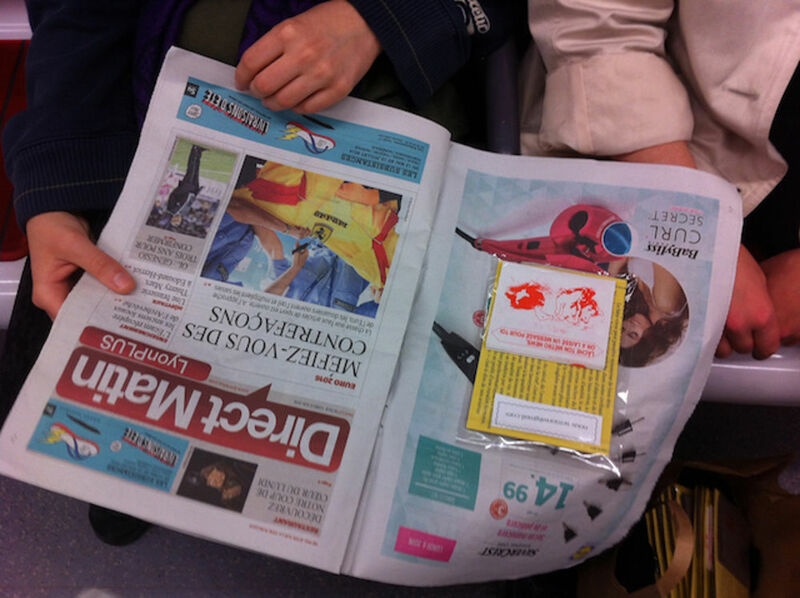 The 200 seed bags are freely accessible to anyone passing by as they are just dropped by the three of us on our way. The texts are short, people can read them between two stations. There is a correlation between the length of the texts and the time you might spend at a bus stop, waiting. "We read a lot on the way to and from work. We could classify these readings according to the mode of transport: the car is worth nothing (reading would give you a headache); the bus is better adapted, but readers there are rarer than one might think, probably because of the spectacle of the street. The place where one reads is the metro. This could almost be a definition. I am astonished that the Minister of Culture, or the Secretary of State for Universities, has not yet cried: "Stop asking for money for libraries—the subway is the true library of the people!” (to thunderous applause from the benches of the majority)." The subway embodies an underground moment, outside of time, where you can get lost in your thoughts and when the mind is 'free'. It is not the only place we sow, but it remains one of our favourites; we also like it because it is a place where a large range of different people gather unintentionally everyday. 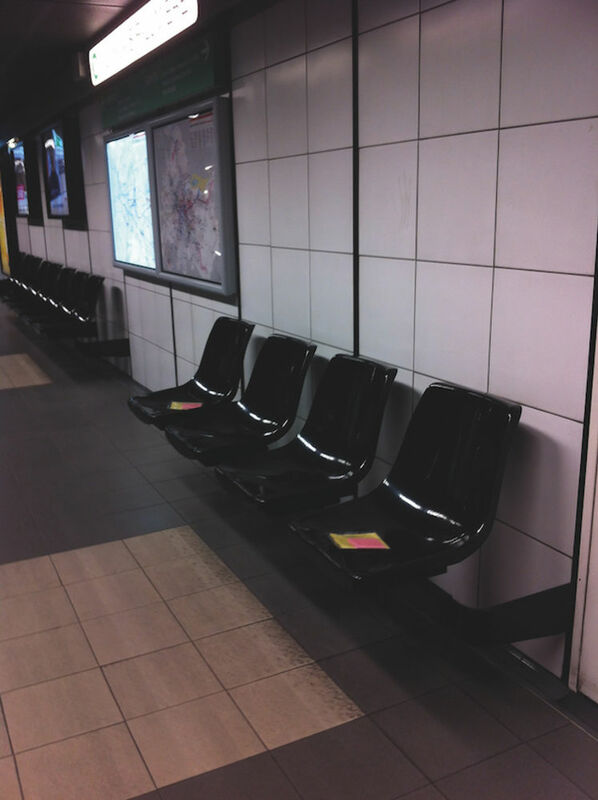 The first time we distributed issue n°1 we took the first subway of the day at 5am, moving through one of the biggest subway lines in Lyon, passing through the whole metro train and dropping bags on the seats. We observed people's reaction or lack of reaction, or even fear…it was very exciting to hear sound of someone unwrapping the packet, unfolding the paper and beginning to read. What are your plans for the future of We Sow? Léa: Our dream is to buy ourselves a risograph printer in order to be truly independent. It would be great to offer even greater access to the source of the texts we select—perhaps to hide the original books or PDF files somewhere, and provide clues to find them, to engage readers in a bit of a quest. I think this could be an exciting way for us to follow up on the initial gift of the free 'seed' bags. Paul: We will continue to question our content, for sure, and will also perhaps think about writing our own texts or finding writers to commission contributions. Someone suggested the idea of collaborating with journalism students, so we might meet people like us who have pre-existing content we can include. Léa: Personally, I am a bit afraid of becoming a "publishing space"…we project no rules, so I think we will always work on case-by-case basis.